There are many techniques you can apply to your business to help grow your bottom line. 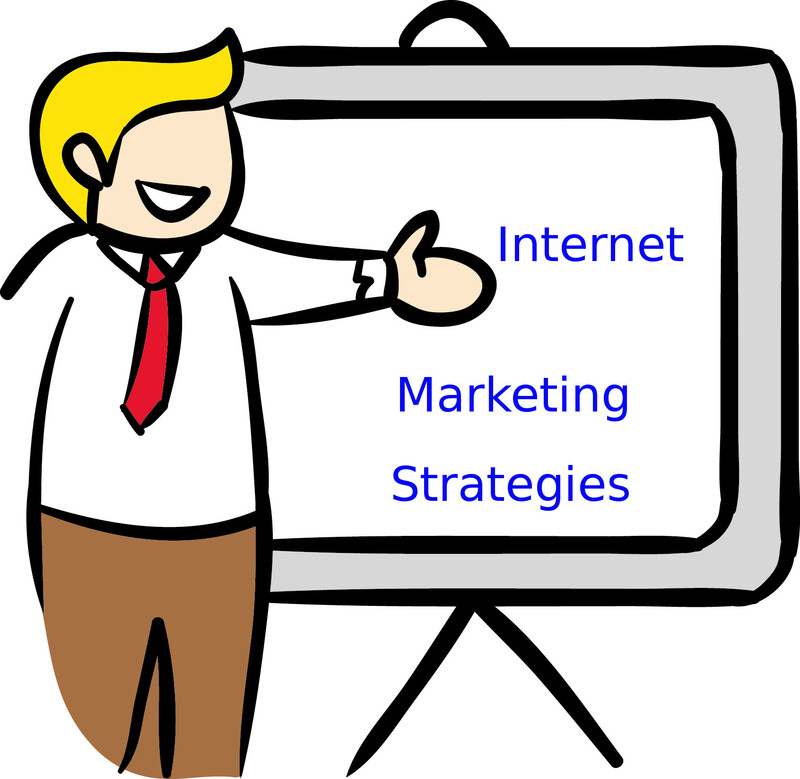 The following 3 internet marketing strategies are a small percentage of those methods, but they in and of themselves will bring return huge results in your quest for business success. Every business exists for the sole purpose of selling something. That’s what your marketing is all about. But you can’t sell your product or service if you have no potential customer to sell to. Marketing is the activity of delivering a message to the potential customer telling him what your product or service will do for him and why he should buy from you. Each of these three techniques is highly important. The first for your consideration is a skill you’ll need in order to put the other two in play. Grab them for your marketing arsenal and put them to use to achieve your goals. The first thing you need to learn is how to write copy that sells. In Internet Marketing Strategies, we call this skill copywriting. A magazine format referred to as a magalog. A news release, or press release. A squeeze, or landing page on a website. As this article is not about basic copywriter training I won’t get into the how-tos for sales letter creation. You have many options for learning the skills of the copywriter. Some are free, some are not. The best free training for copywriting that I know of are the Gary Halbert Letters. You can find those at http://thegaryhalbertletter.com/. Gary was a well-known and highly successful copywriter. And his letters deliver a wealth of knowledge for anyone who wants to learn this art. John Carlton, a very close friend to Gary Halbert and respected copywriter in his own right, offers training for this skill also: http://simplewritingsystem.com/. To be honest I have to admit that this is a skill you can outsource. There are plenty of copywriters who will create your marketing messages for you. The thing is that a good copywriter charges upwards of $2500 for each sales letter he writes. The price certainly is well worth paying when you understand that a well-written sales letter will profit you in the tens of thousands of dollars – if not millions. But you do risk the letter not producing. And if you don’t want to pay those prices, and you don’t have the knowledge you need to write those sales letters yourself, where will you turn to get the marketing messages you need? Now that you have your marketing message written let me tell you about a couple excellent ways to put it to use. The most profitable way to success using internet marketing strategies is by building a list of potential customers – and actual buyers of your product or service – and marketing to that list. The fact is that the majority of visitors to a website land there momentarily and then jump away within a matter of only seconds. We call the rate at which people land on your website and almost immediately leave the bounce rate. This rate of bounce depends entirely on the quality of the content on your site and how interested in that content your visitor is. When they land on the page that contains your marketing message the bounce rate is in direct proportion to the level of interest, or allure, that your message creates for the visitor. A bounce rate of over 70 percent is not desirable. The average rate is 41 to 55 percent. And 26 to 40 percent is considered an excellent bounce rate – for the website owner. The popular method currently for using your sales letter to build your list on your website is to create what we call a landing page, or squeeze page. On this page, you put a cut down version of your sales letter containing the important benefits (normally in bullet form) of your product or service. With that content, you include a signup form or opt-in form the visitor can fill out for more information. This landing page is most effective when you have a high-value item to give to the visitor in return for his contact information. Those come in the form of a training video, book, or software program. Another way to present your sales letter on your site is to create a page that shows the whole letter. This is called a sales letter page. Again, you’ll include the signup form so the visitor can give you contact information if they are interested in learning more about your product or service, and/or to get your free gift. As the visitors opt into your list their names get added to your autoresponder. That is a series of email messages that deliver ongoing information, training, and more marketing messages for future sales. The autoresponder sends these messages out one at a time at intervals you decide you want them sent. The next technique in our list of internet marketing strategies is video. Video marketing is rapidly gaining in popularity among online entrepreneurs. And the fact is that more than 80 percent of people on the web prefer to watch a video rather than read a sales letter. When you use video as part of your marketing strategy you’ll find that your sales conversion rates grow by 60 plus percent because people are more ready to buy after watching a video than they are after reading through a sales letter. To put this method to use turn your sales letter into a script and record that into a video. You can do this by reciting the script as you face the camera. Or you can record an over-the-shoulder style video using the script as a training session showing screen shots (think slide show) as you talk about the content. When you publish your video you place a link with it that clicks to your landing page so people can go there to sign up for your list. Or, if you publish the video on your website you’ll place the autoresponder opt-in form below the video. 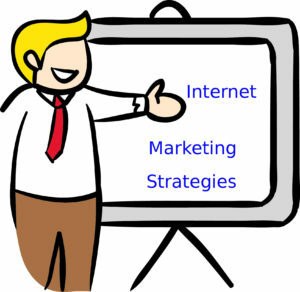 These 3 internet marketing strategies will result in business success – if you use them properly and wisely. There is a learning curve to housing them successfully in your marketing arsenal, but once you navigate that curve you’ll be on your way along your path of business growth.